I didn't start playing fantasy football until four years ago. I knew how addictive it was and I was running a business and I just didn't want to get obsessed with anything, which I knew I would. But my brother came to me and said there was a last minute opening in the league he played in composed mostly of bus drivers. It was all for fun and no one really took it that seriously. So, I joined. And I was instantly hooked. Fortunately I was the boss so I could afford to follow "my team" at work. And I stunk. I went 4-10. I traded Ben Roethlesberger for Jamaal Lewis. I traded Tony Gonzalez for Earnest Graham. I drafted every over-the-hill wide receiver in the league. In short, what I did is what a lot of new fantasy players probably do: I reacted to what had happened LAST year. I drafted names I had heard of and didn't really have a good strategy. I hadn't even watched football the year before. There's a lot to be said for just watching the players and taking that into consideration with their numbers. I don't have a television, so I rarely watch football games even now, and I feel this a real detriment to drafting a fantasy football team. Alright, you're not here to listen to me relive my history, so I'll just say second year I played the same league and it was my only league, and I stunk again. Then two years ago I decided to play six leagues because I was tired of listening to the radio for my players' names to be called and seeing nothing happen. I won two championships and had a second. I thought I was the greatest fantasy football player of all time. Until last year. My teams opened with a dud. No rhyme or reason. I hadn't drafted all that badly, I was just losing. Players like Felix Jones and Percy Harvin were murdering me. I wasn't the lucky guy like I had been the previous year who went in for Arian Foster before everyone else. Instead, I was the guy who didn't go in for Cam Newton or Jimmie Graham. Even getting Darren Sproles and Willis McGahee off the waiver wire early didn't save my season in most of the leagues. Fortunately, I salvaged one championship and considered myself lucky. I dreaw number 11, and I've been having a trouble with this spot in mocks because there is no real solid running back to go for at this point, Calvin Johnson and the top three quartebacks are gone, and it's probably too early to reach for one of the two Tight End studs. It's a no man's land. So i decided to try the first round quarterback, second round tight end strategy a lot of people are recommending and that has worked a lot of times in mock drafts because you panic early, but after you see how many running backs and wide receivers you can pile up later you relax. That didn't happen here. I won't go round by round because I'm already wordy today. I took Matt Stafford in the 1st with the 11th pick and Rob Gronkowski in the second with the 14th pick. My other proposed strategy, which I abandoned, was to take a running back like Marshawn Lynch then Julio Jones. If this were a money draft I probably would have, but more on that later in my conclusions. 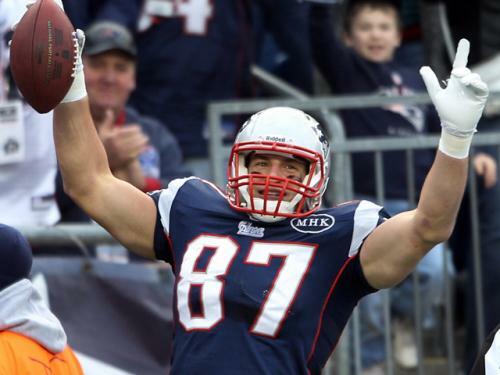 The 1st round quarteback, second round tight end strategy is the rage this year. So I tried it. With disastrous results. 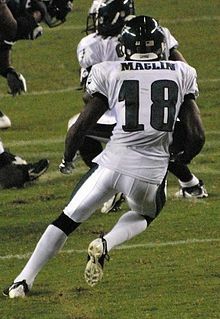 Jeremy Maclin. Because he's had big games against me in the past and I feel like he will be inconsistent, but have some huge games. Now I have my QB/TE, and two running backs and two wide receivers. This is the point in mock drafts where I had been able to wrack up a lot of good running backs and wide receivers because everyone else had to take a tight end and a quarterback. But it didn't happen in this draft. The players I had leaned on in mock drafts were gone. Unlike mocks, when the chips are down, a lot of drafters go up a round or two to take someone you had planned to take later. I got burned waiting and melted down. These guys don't all deserve pictures so let me detail what went wrong and what you shouldn't emulate. Rule number 1: No running backs from Green Bay, Washington, New England, Detroit, Carolina etc. Broke this one early when I panicked and took Stevan Ridley as my third running back. Mostly I was overreacting to the preseason game he had just played and gotten 16 carries. Bill Belichick is here to ruin life. And your fantasy team. He's insane. And I'm convinced he wakes up every Sunday morning and devises a plan to ruin my fantasy day. It was a doubly bad pick because Kevin Smith was an iffy pick, and a triply bad pick because Fred Jackson is also suspect in terms of injuries. It didn't get better. I was knocked off my game and I made a grave error: I decided to wing. The point of this strategy is you HAVE to wrack up quality running backs and wide receivers in rounds 5-8. Then gamble if you want because your team will be set. Nope. Why, Thomas? Why. I'll tell you why. Cam Newton. I didn't need a quarterback here. There were still quarterbacks who would have been fine backups if Stafford (more later) does what he usually does and gets injured. But all those games last year where someone beat me with Cam Newton and not much else came flooding back. I needed to right my ship here and take aa solid running back, even it was DeAngelo Williams or someone dull and dependable. But I didn't. And at this point not much I could have done would have saved this draft. 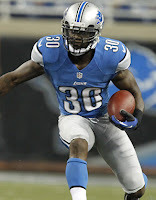 I added several old wide receivers like Anquan Boldin, Randy Moss, and Sidney Rice. But my final and probably fatal mistakes were taking Evan Royster and Alex Green as my longshot running backs. It was a very bad draft and I knew it right away. I also exhaled in relief because I learned some things to avoid in a ten dollar draft. here's a bullet list in no particular order of how i messed them up. -Word is wide receiver is insanely deep this year. Don't use that as a crutch not to get a solid tandem early. Then you can wait, but you need two wide receivers that are ready to start week one. Or else be prepared to get your brains beat out by the teams that did take Julio Jones/AJ Green. I did ok with Colston/Maclin, but I feel really weak at WR and don't think my QB/TE will make up for it. 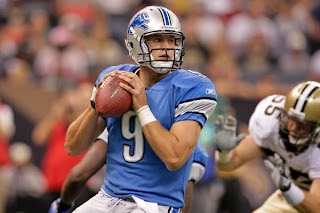 -If you choose the QB/TE combo in rounds 1 and 2 you don't have room to improvise later. You have to pile up wide receivers and running backs and keep piling them up. Then take some shots in the later rounds. -No running backs from Green Bay, New England, Carolina, Washington, and I'll add Pittsburgh etc. Let someone else go down on this ship. -If you feel like you have a player slotted and everyone else has him slotted lower than that, and even the ADP had him far lower, don't be afraid to take that player where you want to. These guys were like vultures last night. 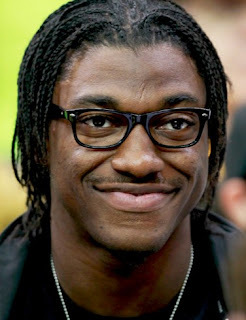 I got scooped every round on players I didn't even think were on other peoples' radar, like Cedric Benson. (Yes, I know). My dead rounds taking Fred Davis and RG3 were brought on because the players I were looking for were gone. No matter how many times you mock, you're still susceptible to that freeze that happens when the two guys in front of you snipe the only players you have any interest in. In that case I advise drop down that damn list and take that player you think you're taking too high that excites you. I didn't and I regret it. Those are few lessons learned from an early draft. My conclusion is if you want to try the QB/TE gambit you're starting your draft on thin ice. It can be done. Much better than I did it, for sure, but it sure will cause a knot in your stomach when you look up and see everyone else is stacked at running back and receiver and you don't have one yet.